In what has become an all-too familiar story to those with an attention span that goes back farther than one week, it has once again been revealed that a famed terrorist was known to and in close contact with Western intelligence agencies before and, presumably, during his notorious acts. 27-year-old Mohammed Emwazi has been identified as “Jihadi John,” the masked terrorist who appeared in the numerous staged beheading propaganda films depicting the killing of Western “aid workers,” “journalists,” and others. It was already largely accepted that the terrorist star of the videos was from Britain. However, the exact identity of “Jihadi John” was not released to the public until Wednesday. Already, the story is being presented as a failure of intelligence services and a tragic oversight that could only have been remedied with even greater police state powers being granted to the UK government. With lines like “we simply can’t monitor all of these people sufficiently” and “we can’t monitor everyone” as the official line from the UK government and mainstream British media, the official narrative is inherently contradictory, especially considering the fact that the UK government and GCHQ is in fact capable of monitoring everyone, which they do in an almost identical fashion to theAmerican NSA. But they did know his name earlier. Mohammed Emwazi was well-known to UK intelligence agencies and police. 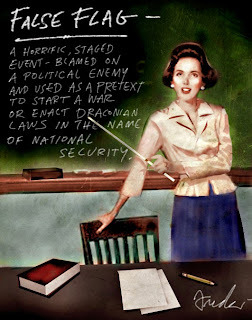 In fact, there is a reasonable amount of evidence – the track record of the UK and US government in terms of false flag terror attacks involving the use of Muslim patsies being one portion of that evidence – that not only was Jihadi John known to agencies and police before his travels to Syria but that he was working with these very same intelligence agencies in doing so. The story goes that, upon graduating from the University in 2009, Emwazi and a few friends flew to Tanzania on a safari trip. Upon landing in Dar es Salaam, Emwazi was arrested and sent back to Britain. On the way back, he stopped over in Amsterdam where he claims that he was accused by MI5 of trying to go to Somalia, apparently suggesting that he was going to join the group Al Shabaab while there. Emwazi also claims that he was subsequently harassed so much by security agencies that he was forced to complain to the Independent Police Complaints Commission, a report of which there is a record. He stated that MI5 knew “about me; where I lived, what I did, and the people I hanged around with.” He also claimed that MI5 attempted to “turn” him, meaning that the agency wanted to recruit him to work for them. In 2009, Emwazi apparently moved back to Kuwait and got a job at a computer firm there. When he returned to Britain in June, 2010, he was detained and not allowed to return to Kuwait. Somehow, despite having been placed on a terrorism watch list and being banned from leaving the UK, Emwazi allegedly managed to travel to Syria where he committed the alleged terror attacks of which he now stands accused. Emwazi’s travel represents yet another example of the curious ability of terrorists who are known to intelligence agencies to travel in and out of the country at will despite having been placed on a terrorism watch list. Asim Qureshi, research director at the rights group Cage told the Washington Post: 'Mohammed was quite incensed by his treatment, that he had been very unfairly treated'. Emwazi claimed in emails that he was repeatedly approached by the security services over the course of the following year but he said he refused to co-operate and denied he had any links to terrorism. In an email to Mr Qureshi he said: 'I feel like a prisoner, only not in a cage, in London. A person imprisoned & controlled by security service men, stopping me from living my new life in my birthplace & country, Kuwait'. Another friend said that Emwazi later tried to travel to Saudi Arabia to teach English in 2012 but again stopped from leaving. He was 'desperate' to leave Britain and 'was ready to exhaust every single kind of avenue within the machinery of the state to bring a change for his personal situation', Mr Qureshi said. Mr Qureshi said he last heard from him that year and said the Jihadi John suspect believed 'actions were taken to criminalize him and he had no way to do something against these actions'. Soon afterwards he vanished and is believed to have travelled to Syria, where he may now be ISIS' figurehead. In other words, given the track record of Western intelligence agencies when it comes to acts of terror at home or abroad, one would be justified in wondering whether or not this “harassment” of which Emwazi complained was actually an attempt to recruit him to act as a face for terror, an actual terror fighter, or patsy in their war against the Syrian people and the secular government of Assad. It is not fully known whether Emwazi had fundamentalist sympathies before his encounter with UK intelligence services or whether his encounter with UK intelligence services was the precursor to the fundamentalism or, at least, the perception of such fundamentalism. Considering the shaky narrative provided by the mainstream – that Emwazi was arrested, harassed, denied having anything to do with terrorism, was arrested again, harassed so much that he desperately wanted to leave Britain, placed on a terrorism watch list, and then suddenly appeared in Syria as “Jihadi John,” there is ample reason to wonder whether or not Emwazi was coerced and/or forced into his role. That is, of course, assuming that “Jihadi John” is actually Emwazi at all, a claim that, in actuality, has very little in the way of evidence to back it up. Still, it should be remembered that the connection between British intelligence and al-Qaeda is by no means a new one. For instance, in 1996, British intelligence was involved in the direction of al-Qaeda for the purposes of an attempted assassination of Muammar Ghaddaffi. Ever since, the London connection to Islamic terrorism, terrorist recruitment, and the training of terrorists has been well-known in honest and informed researching circles. Indeed, the very concept of Islamic Fundamentalism as a fighting force was largely a British idea which took the form of the establishment of the Muslim Brotherhood to combat Arab nationalism early in the 20th century. Whether or not Jihadi John was legitimately a radical fundamentalist (through the network of Mosques acting as British intelligence fronts) or whether he was merely blackmailed and bullied into doing the bidding of UK intelligence in Syria, the fact remains that his actions were entirely coordinated by NATO intelligence. One need only to consider the many “coincidences” that benefited NATO forces as a result of the propaganda videos that “Jihadi John” had a cameo role in. Remember, when the United States was “debating” the idea of becoming more directly involved in Syria and Iraq, particularly in the form of bombing civilian and government infrastructure and openly funding the death squads they claim to be fighting, a video allegedly showing the beheading of James Foley was released resulting in widespread anger and indignation amongst a general public who were temporarily yanked away from reality TV long enough to view it. Likewise, when the British seemed hesitant to directly join the imperialist bombing coalition, a video was released allegedly showing the beheading of a British citizen, Alan Henning, also causing widespread indignation amongst the public and shoring up support for British military involvement in Iraq and Syria. When the French seemed hesitant to join the bombing, ISIS releases a third video of an alleged beheading of a Frenchman, which provided justification for French involvement. Either ISIS and Jihadi John are the absolute dumbest public relations operatives in world history, or the actions of ISIS and Jihadi John are directly controlled by NATO for propaganda, geopolitical, and military purposes since it is only NATO who has benefited from the videos and the alleged beheadings. The timing of ISIS and Jihadi John’s actions – always in line with the goals of the NATO faction of the world oligarchy – is clearly the result of the latter. Tarpley, Webster Griffin. 9/11 Synthetic Terror: Made In USA. 5th edition. Progressive Press. 2011. Brandon Turbeville is an author out of Florence, South Carolina. He has a Bachelor's Degree from Francis Marion University and is the author of six books, Codex Alimentarius -- The End of Health Freedom, 7 Real Conspiracies, Five Sense Solutions and Dispatches From a Dissident, volume 1and volume 2, and The Road to Damascus: The Anglo-American Assault on Syria. 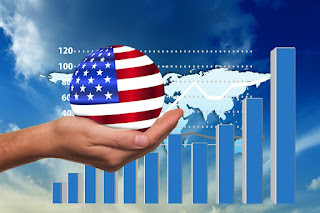 Turbeville has published over 500 articles dealing on a wide variety of subjects including health, economics, government corruption, and civil liberties. Brandon Turbeville's podcast Truth on The Tracks can be found every Monday night 9 pm EST at UCYTV. He is available for radio and TV interviews. Please contact activistpost (at) gmail.com.